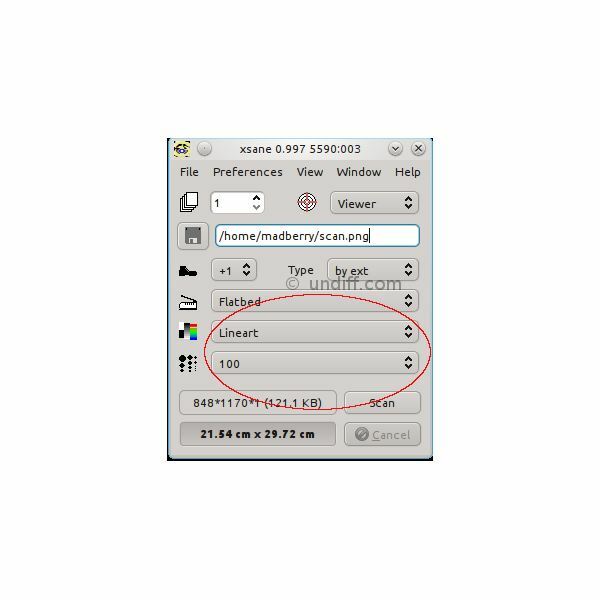 Sane, Scanner Access Now Easy, makes, as the name says, scanning on Linux easy. A lot of scanners are supported by Sane, but Scanjet scanners are plentiful in the list of 1777 devices. That they are listed doesn't mean they will work with Sane; the Sane project also lists scanners that are partially working or not working with Sane. As a matter of fact this was the very list I skimmed through to find a scanner I could buy. Now I know some of you are terminal ninjas, but for others scanning is something that needs to be done in a graphical interface. There are many front-end options for Sane, but in this article I have chosen to cover XSane, in my opinion one of the best Sane front-ends, which is simple to use and understand. I am assuming you know how to install a application in your distribution of choice. For Ubuntu and its derivatives I wrote this article you can read, if you are unfamiliar with installing applications. Before installing Xsane it might be a good idea to check the list I mentioned above, just to make sure your scanner will work. Put a document on the scanner or put more then one document in the Automatic Document Feeder(ADF). Make sure the scanner is switched on and open XSane. 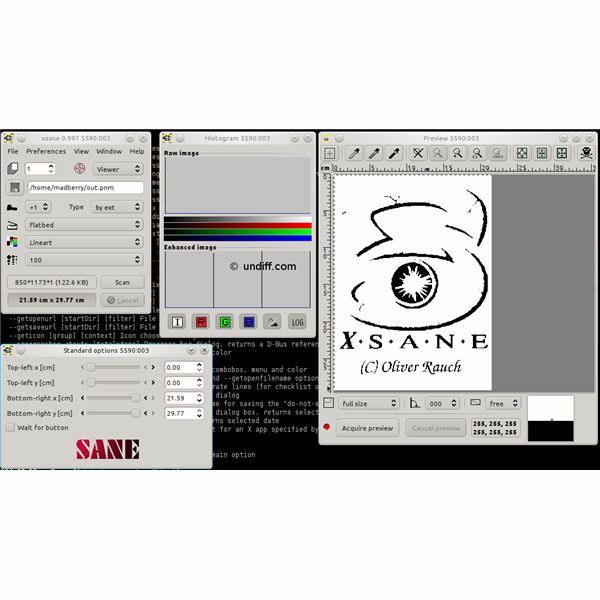 Sane will now detect the scanner and the XSane graphical interface will be started. If Sane doesn't find a scanner XSane will show the message "no devices available". In this case restart XSane. If this message comes up again check your USB cable. if that doesn't fix it check the list again and make sure your scanner is listed as compatible with Sane. The first window is where you can set several options which include the scanner configuration, (see image 2 below) "flatbed" or "ADF". The latter of the two is the setting for the Automatic Document Feeder. We can also define the scan quality (see image 3 below). This window is also the goto window if you are ready to save your scan. You can put in your document location and name, then hit scan. It will now scan and save the image. The second window shows a histogram; a way to quickly see how the colors are on the scan. This is most handy when scanning in photos similar to the ones found on DSLR(Digital Single Lens Reflex) LCDs. The fourth window gives you some margin control. It also allows you to mark "Wait for Button". This is handy when your scanner is on the other side of the room, as it is in my case. It will make XSane respond to the scan button on your scanner. XSane makes scanning, especially scanning of a lot of documents by using ADF, easier. I have as much control over the scanned result with this open source Scanjet software as I would have with any software in MS Windows. XSane has allowed me to scan my most important documents, clearing room in my office and making it possible to shred the original paper version. The ADF control was a big one in my decision on what scanner to buy, I now have a Scanjet 5590 fully supported by Sane. It makes scanning a large number of documents easy, because I don't have to sit in my office next to the scanner to put another sheet on the flatbed. I also do photo restoration. XSane allows me to scan in the original photo in perfect quality, quickly. I can give the original back to the customer for safe keeping. Do you have a front-end suggestion for Sane? Please leave a comment below.